Both in branch queue system user or mobile queue system user can benefit from Mobile Queue System Solution. 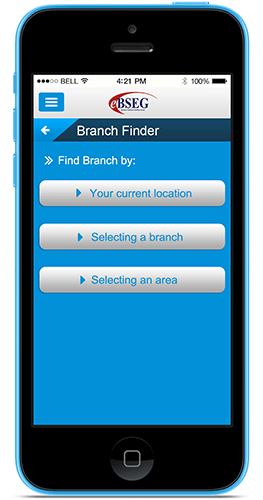 Facilitate to the customer finding nearest branch in easy and faster way. 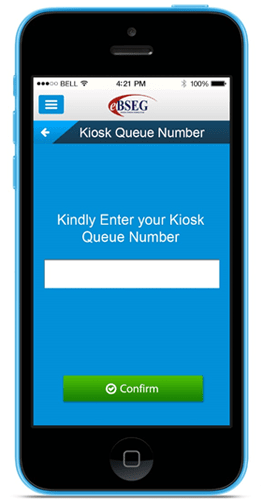 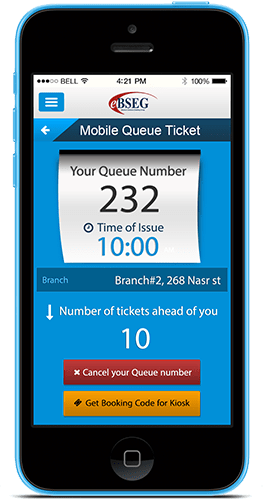 With Mobile Queue System customer can view the number of waiting customers in the branch and current queue number having a service on the window! 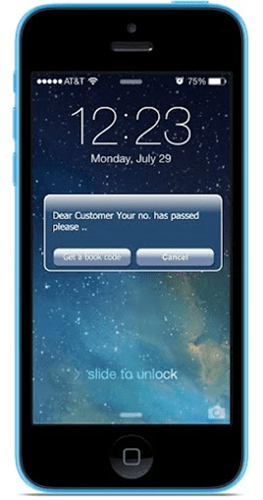 Don't waste customer’s time on waiting! 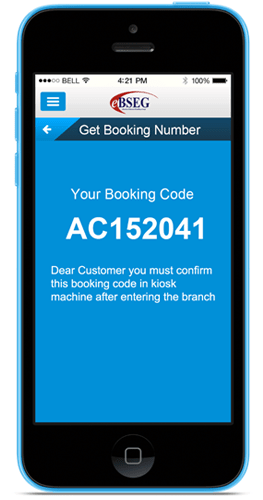 The customers updated with the tickets number ahead of them to avoid waiting in the branch. Alerts to notify both Mobile Queue number user and in branch queue number user to avoid wasting their time waiting in the branch. 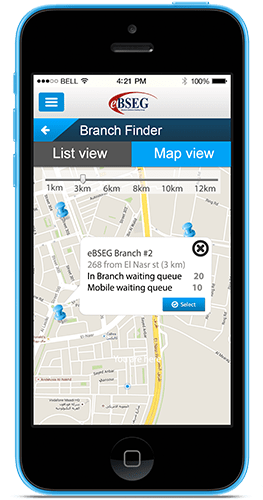 Customer selected nearest branch or selected branch he want to go to – and get clear info on Normal In Branch Waiting Queue Length as well as Mobile Queue length for each branch. 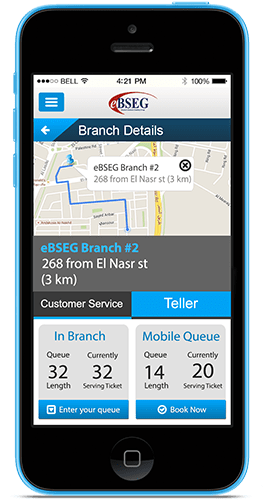 If customer does NOT reach the branch in time! 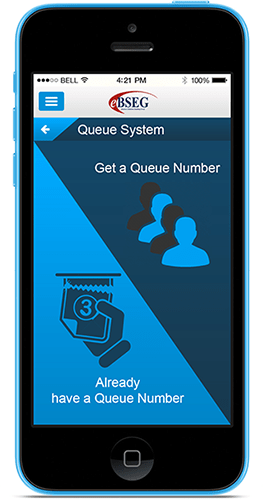 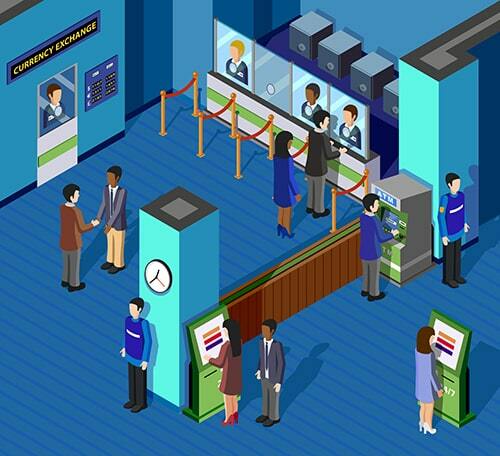 That’s not all…don’t miss Mobile Queue System benefits!